What are Adaptable Process Applications? Adaptable process applications can be built using specialized software called a Business Process Management System (BPMS). What is a Business Process Management System (BPMS)? Put simply, a BPMS allows certain types of business processes to be automated and adapted very quickly and cheaply. Such systems are used to improve the movement of documents or tasks through predefined route/s of review or approval – anything from coordination of vacation requests, through handling the entire lifecycle of customer quality issues, all the way to end-to-end supplier and customer management processes. Modern BPMS platforms typically have strong capabilities for business reporting and data analysis, as well as integrating with and controlling (“orchestrating”) other information systems. A “Designer” providing rapid visual (point-and-click) design of input forms, corresponding business rules, and “routing” between people and/or other information systems. An “Execution Component” (usually, a web portal) that allows participants to interact with the workflows, and which generate reminder emails and alerts, as well as real time management reports and indicators. Interfaces to invoke actions or retrieve data from other systems, usually using standards like LDAP, SOAP, JDBC etc. The forms to request and approve an account are created using a “point-and-click” editor. The sequence of process steps and the business rules for each step are defined in a visual process designer. Links to other systems are created with some scripting involving JDBC/ODBC database connectors or SOAP web services, for example. If you look at common case studies, you’ll see examples like contract negotiations and customer requests/claims; both of which could potentially have a long throughput time, many requests, or very high cost of failure. Reduce or eliminate delays and processing mistakes: creating significant savings through productivity improvement, risk avoidance and avoidance of opportunity costs. Assure and automatically document compliance with controls and regulations by “putting tasks on rails” – particularly useful when it comes to ISO and SOX (Sarbanes-Oxley). Improve quality of service and lower training costs, by guiding the work of many people through complex procedures consistently, quickly and with less ambiguity. Allow an organization with limited technical resources to focus on designing processes, without worrying about costly and lengthy cycles of application development, debugging and maintenance. Artificial silos can be broken down when activities involving different information systems, departments and roles are easily integrated into complete (end-to-end) business processes. Business process flows can automatically generate performance metrics and can be reconfigured quickly, complimenting the concept of continuous business process improvement. An automated, “on rails” workflow helps with the difficult challenge of introducing new business processes and methods into an organization and making them stick. Innovelocity consultants have implemented numerous process applications in fields like healthcare, manufacturing and government – spanning departments like finance, administration, quality, R&D and production: saving hundreds of thousands of dollars, improving audit scores and reducing process throughput time by an average of 45%. The technical challenge: the quality of different BPMS is highly variable. Selecting the wrong one can create maintenance issues, omit important features, make integration with other software problematic, or leave you on an obsolete platform. 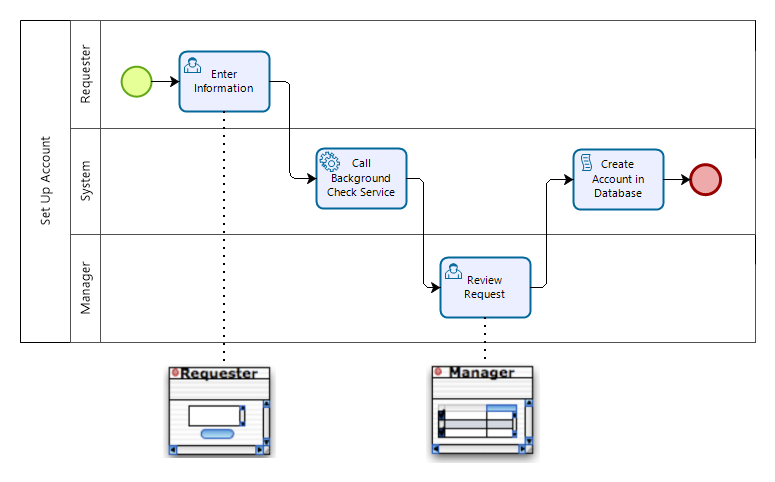 The process challenge: a BPMS is usually deployed to improve a “broken” business process or replace ad-hoc activities with a structured process. If a “broken” process is automated without improvement, or if the process is not fully understood and properly designed for the BPMS, automation will simply make a chaotic or broken situation worse. The structural challenge: once a process application goes live, that is not usually the end of the story. An effective management structure needs to be in place to ensure that processes continue to improve and evolve with organizational needs, and continue to be used effectively. InnoVelocity helps our clients overcome these challenges by bringing proven process development and technical expertise to bear on solving their business needs. Ready to see what Business Process Applications can do for your company?